Hope you all had a fabulous and flavorful Thanksgiving. After moving to the USA Thanksgiving is one holiday I look forward too. And after having my children, we celebrate it even more. The last couple of years, we always celebrated with our close friends and cousins. My family doesn't live here but our close friends and cousins always make us feel at home. This year is no exception. I believe that festival not only brings food to our table they brings our heart closer too. My mom always says sharing food spreads your love. It is that time of the year where we are thankful for all little things in our life food, silly jokes, fun which make our life flavourful. By the way, what's your favorite food in thanksgiving table? I have many, can't just name one. I made cranberry sauce with an Indian Twist. You can call it relish too. Use it after Thanksgiving as a spread or jam as well. Cranberry sauce with Indian jaggery instead of white sugar. First clean and wash cranberry and in a pan heat four cups of water and yield the cranberry. Once start boiling add jaggery. Always in a medium heat. Let it cook for 10 to 15 minutes. Then Switch off the heat, add orange zest and the pinch of cinnamon. It will add extra flavor to your cranberry sauce.Your homemade cranberry sauce is ready. It is a lot healthier as I am using jaggery. It has so much health benefits for improving your digestion etc. You can get jaggery in any Indian or Asian store. Oh this sounds delicious! We don't celebrate Thanksgiving in the uk but we have our turkey on Christmas day, I may have to suggest giving this recipe a go! I too originally come from where thanksgiving is not celebrated officially but due to being married to one who celebrates, I've come to love cranberry sauce especially. Thanksgiving apart from being a day set apart should always be in our hearts, where love ones gather from all over the country to celebrate. Thanks for posting. It looks really good, the ingredients sounds healthy and that makes wanna try it. Sounds yummy. I might have to give this a try. Love this India twist! YUM! this sounds so interesting! I'd love to try it! Cranberry sauce with India twist, that sounds so fabulous. I love Indian food and adding a pinch of Indian spices or products to my food. I am going to try this cranberry sauce, sounds so good. This is awesome. I usually just serve it right out of the can! Embarrassing, I know. haha now I have a new way to try. You know what, I am not a big fan of cranberries but this sauce made me want to give it another go. Maybe i'll like it this time! 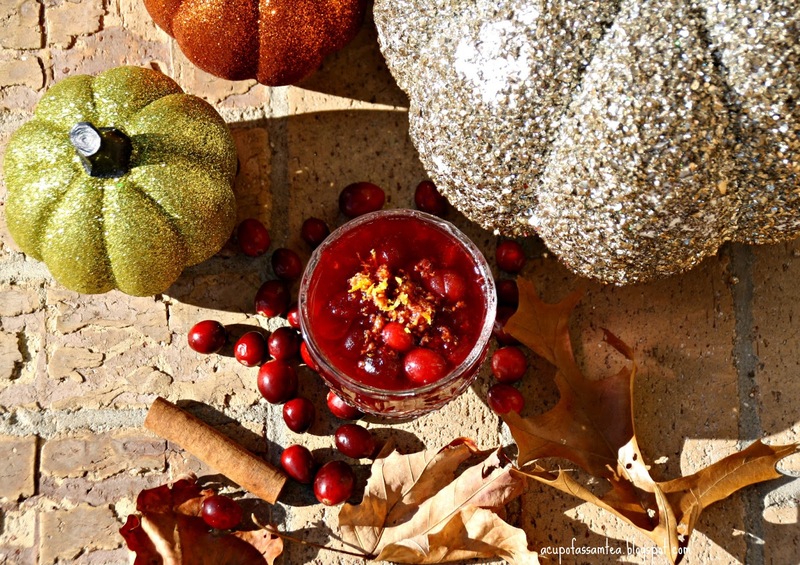 Thanks for sharing this Cranberry Sauce Recipe! 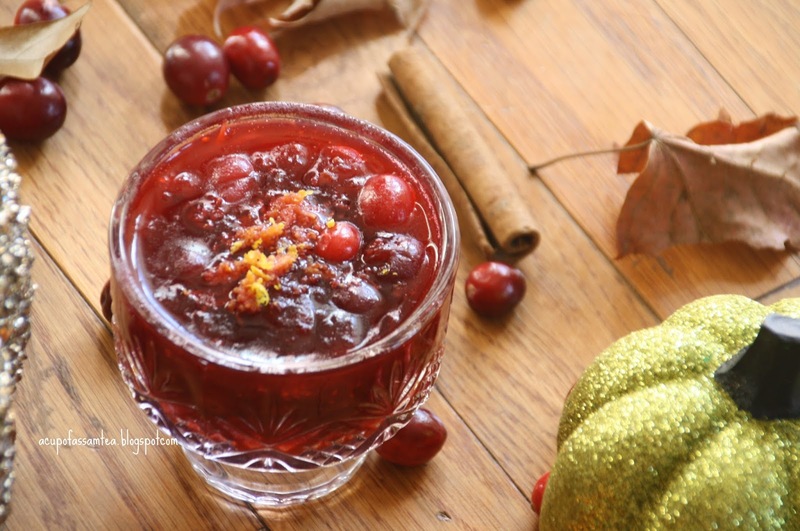 Cranberry sauce with Indian Jaggery is truly amazing and delicious recipe! This is a must try recipe. Cranberry sauce is the one thing I always seemed to struggle with, because I don't want to go the hassle of making my own and opening a can is just lame. This seems simple enough that I could handle it though. I have never had cranberry sauce with an Indian twist. But it sounds so delicious! Did you just whip this up. Cranberry sauce with an Indian twist!why didn't i think of this haha I need to try this as soon as possible. Thanks! Love how you injected a bit of your culture to Thanksgiving. I'm sure a lot of your guests will love this! It sounds delicious! Also, I love the idea of "sharing food spreads your love". I know that whenever (rarely) I prepare something for the ones I love, it is such a heartfelt act of love. I wish I was more of a cook so that I could spoil them with trying out all the awesome recipes I find online. I've never heard of this recept. It looks so delicious! I need to make it. I already saved it, thank you! I love cranberries especially for Thanksgiving and Christmas. I hope you have a wonderful holiday with family! That sounds yummy! I have never heard of Jaggery before, but i would love to hjazz up our cranberry sauce! This looks like it would be such a delicious way to make cranberry sauce. I am going to have to try this! Love the ingredients you chose, it's sure delicious! Would love to try this recipe! I've never had cranberry sauce. But it sure does look and sound amazing. I am going to try it on Christmas.